Thank you for joining us for the Bright and Cheerful Challenge and we hope you will all join us again this week too. 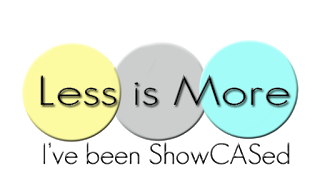 We are showcasing W plus 9 Products this week. 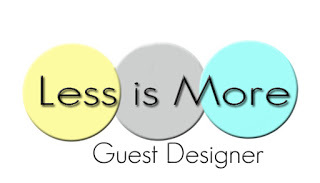 You don't have to use them to join in but if you have some we would love to see them used. 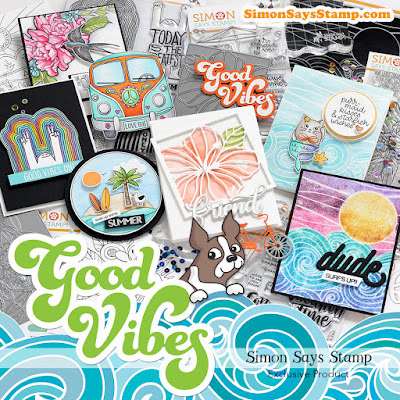 As always Simon Says Stamp will be giving away $50 voucher to shop at the fabulous Simon Says Stamp Store. So here are my cards for the challenge inspiration. 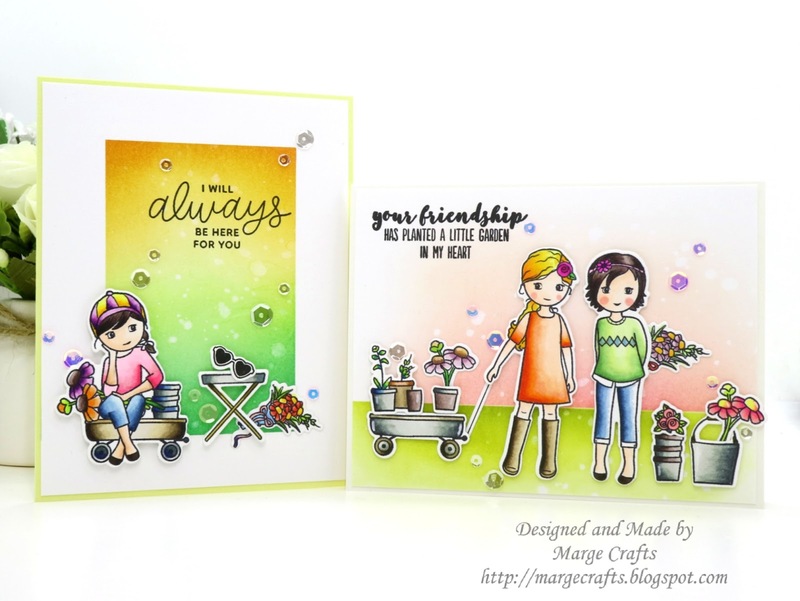 I used The Crew : Garden Club Stamp and Dies set from Wplus9. I started by stamping the images from The Crew Garden Club on 80lb Neenah White paper using Memento Tuxedo Black Ink, then I colored the images using my copic markers and Nuvo alcohol markers. I then cut the images using coordinating dies. I prepared A2 sized Bristol paper for distress ink blending. For the transverse card, I used Peeled Paint, Crushed Olive , Worn Lipstick, and Dried Marigold. To devide the space, I simply used post-it sticky notes for masking. For the vertical card, I used Carved Pumpkin, Wild Honey, Fossilized Amber, Squeezed Lemonade, Twisted Citron, and Mowed Lawn. I masked off 4 edges using washi tape to make framed look. After bledning was done, I splattered water and then I adhered my images using glue and foam tapes. Sentiment was chosen from Pretty Pink Posh Encouraging Greetings set and The Crew Garden Club set, stamped using Versafine Onyx Black Ink. I adhered the panels onto card bases I made using Simon Says Ivory Card Stock and Lemon Chiffon Yellow Card Stock. As a final embellishment, I added Pretty Pink Posh Sparkling Clear Sequins Mix , 4mm Lime Sorbet, 6mm Lime Sorbet, and Ballerina Pink Sequins. 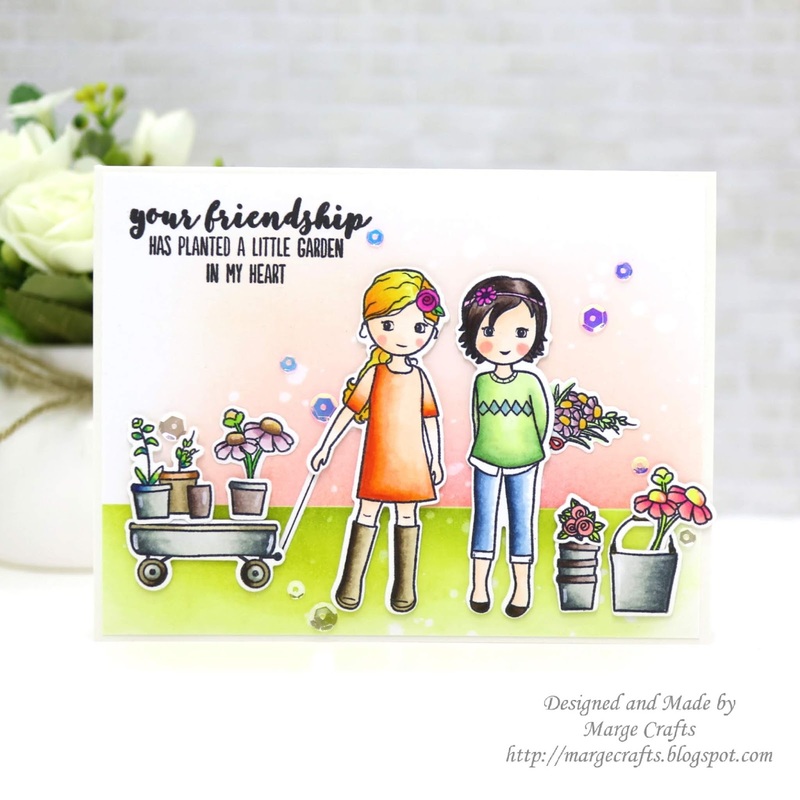 Today, I'm sharing a couple of cards using the fun Fly Away Friends Stamp Set by Pretty Pink Posh. 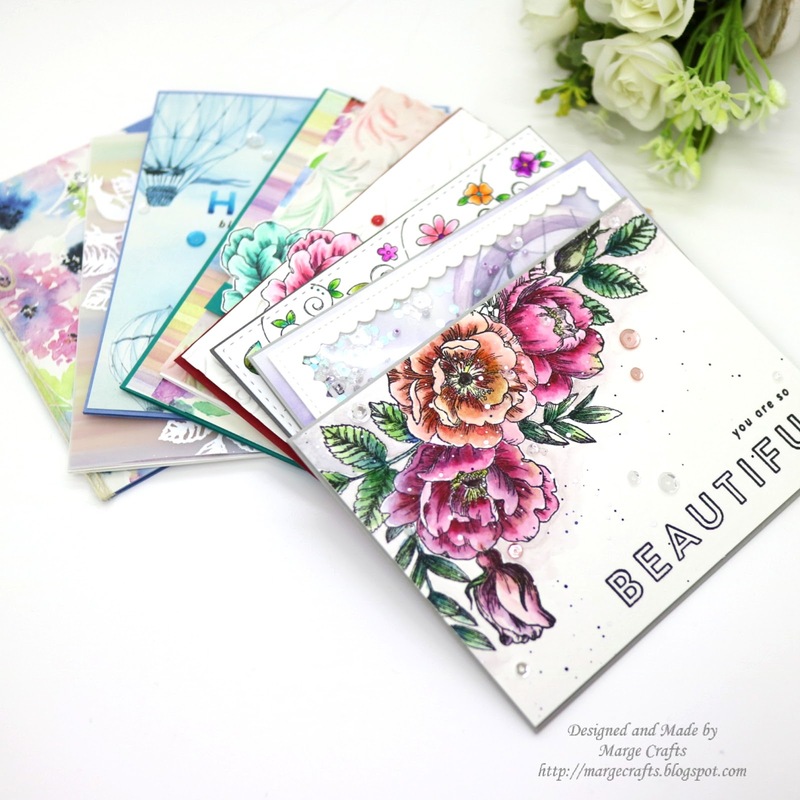 I think this has been somewhat underestimated set so it is perfect time to show how it is cute and pretty like other stamps from Pretty Pink Posh. 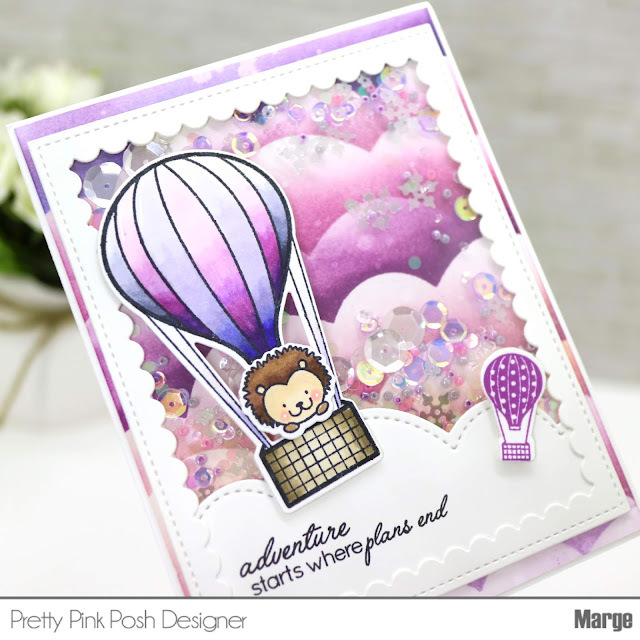 It has three hot air-balloon images with different size, two cute critters faces, one big airplae that is very cool and lots of fun sentiments! 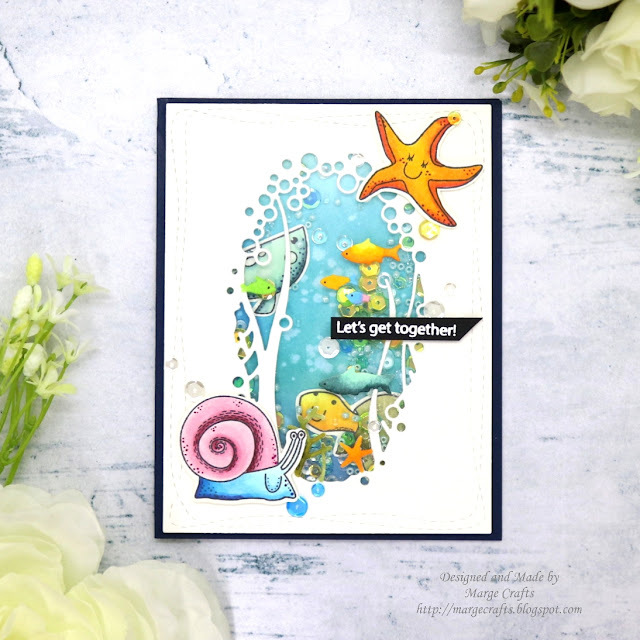 I made a custom cloud stencil by dicutting an acetate film with Stitched Borders 2 Dies, then I ink blended A2 sized Bristol Paper using my cloud stencil. 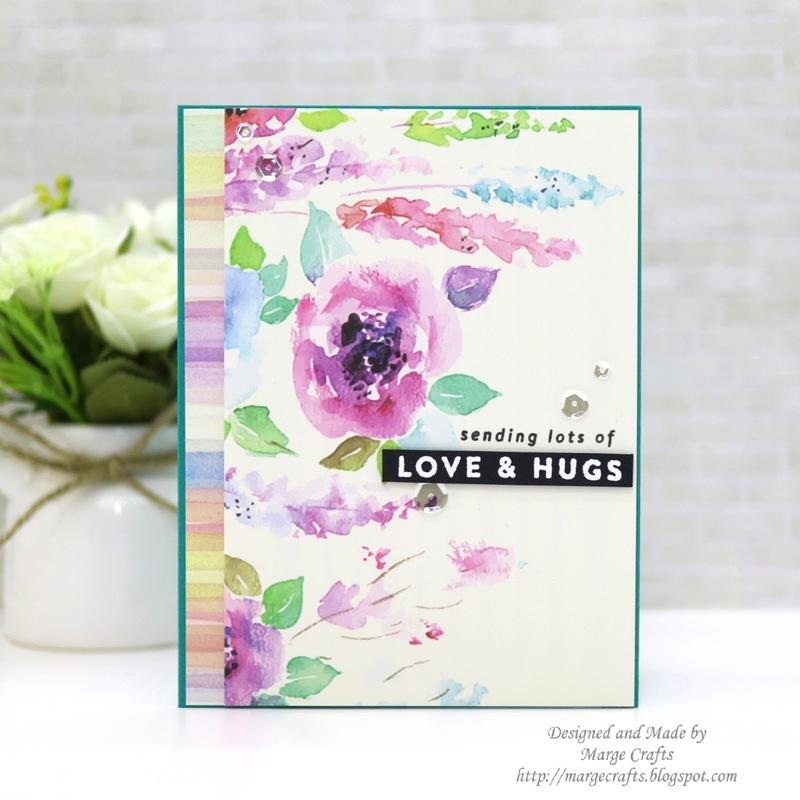 I used regular distress inks : Seedless Preserves, Shaded Lilac , Tattered Rose and Worn Lipstick. I mixed 1~2 colors to make various shades when stenciling and then I added splatters of water a little. I then stamped Fly Away Friends Set onto 110b Neenah White Paper and colored the images using Copic Markers. A small balloon image was stamped using a purple dye ink. 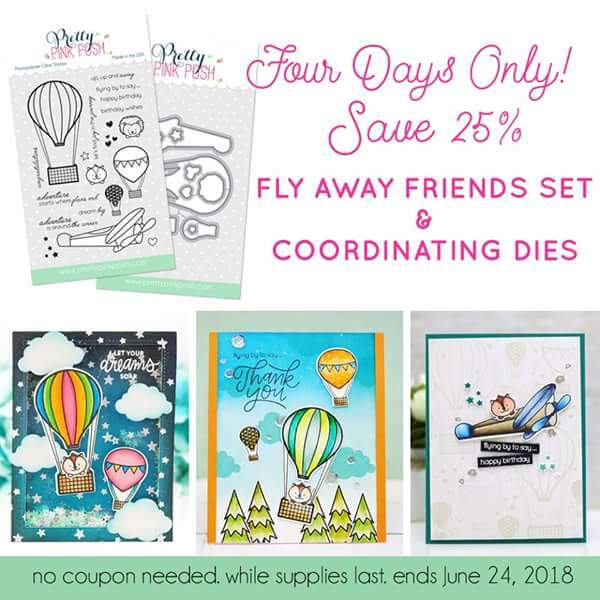 I then cut the images using Fly Away Coordinating Dies. To make a shaker frame, I cut Scalloped Frames Dies and Stitched Borders 2 Dies out of 120 Ultrathick White Card Stock. In shaker sequins are : Sparkling Clear Sequins Mix, 3mm Sparkling Clear Sequins , 4mm and 6mm Lavender Moon, Sparkling Clear Snowflakes, Mini Circle Confetti, Rose Pink Seed Beads , Pewter Seed Beads, Lilac Seed Beads, Sparkling Clear Seed Beads, Aquamarine Seed Beads. 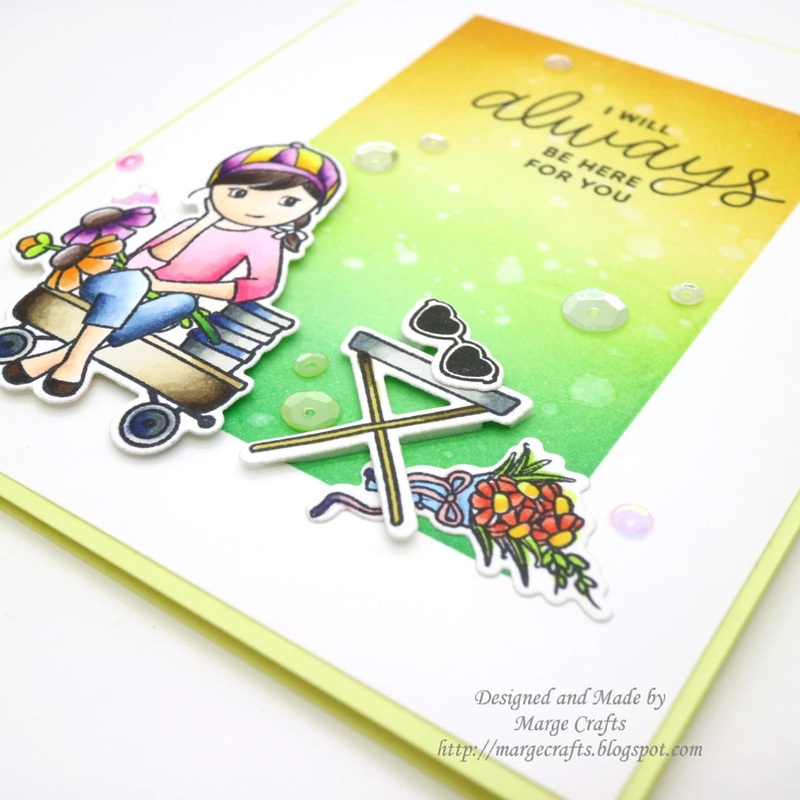 I made a stamping background using the lovely images fromFly Away Friends Stamp Set. I used Barely Beige ink to make subtle patterns. Then I foam mounted my colored images and adhered the panel onto Peacock Teal Card Base using foam tapes. As a final embellishment, I added some Sparkling Clear Sequins Mix. I made a top-folded card base using 110b Neenah White Paper, then I masked top and bottom of the front panel using post-it sticky note paper. I ink blended the empty space using my mini distess inks : Carved Pumpkin, Wild Honey, Squeezed Lemonade, Twisted Citron, Cracked Pistachio, and Peacock Feathers. Then I splattered water and removed excess water using dry tissue. I simply adhered my copic-colored images using foam tapes and stamped sentiments using MISTI tool. 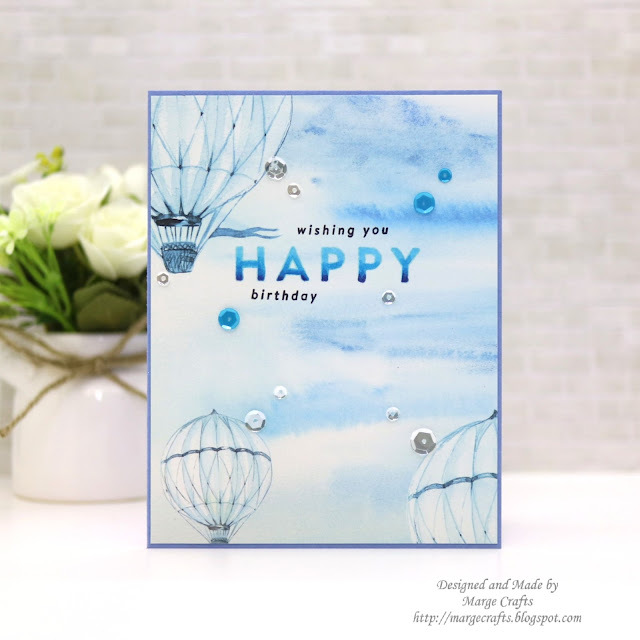 The cloud is from Fly A Kite Stamp set. Finshed off thr card by adding Sparkling Clear Sequins Mix. Just FYI, Pretty Pink Posh offers 25% sale for this set while supplies last. Have fun! 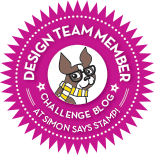 Here's my card for challenge inspiration. 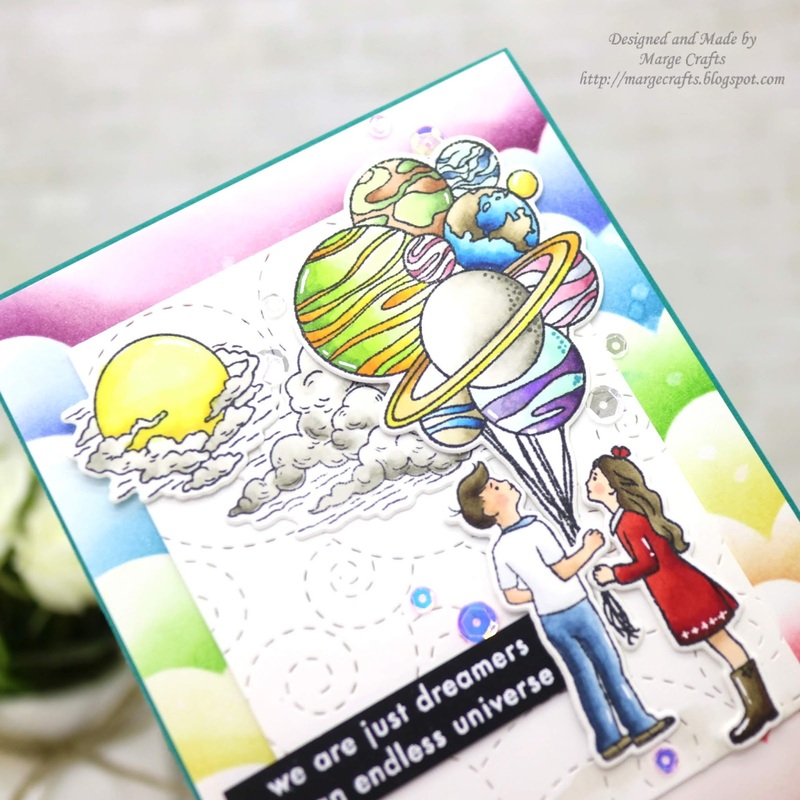 I used Dream Big Stamps and Dies set from Hero Arts. 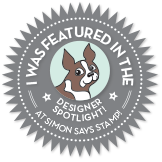 I started by stamping Dream Big Stamps on 110lb Neenah White paper and dircutting them with Dream Big Coordinating Dies. I then colored the images using copic markers. 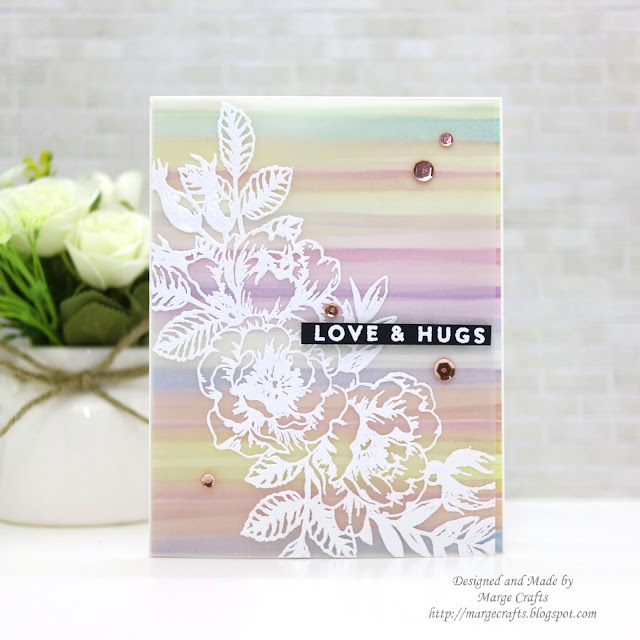 Next, I trimmed a piece of Bristol paper into A2 size, then I made a rainbow cloudy sky using Simon Says Stamp Clouds Stencil and distress inks. 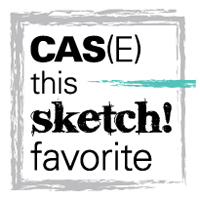 (Candied Apple, Carved Pumpkin, Fossilized Amber, Mowed Lawn, Mermaid Lagoon, Blueprint Sketch, and Seedless Preserve). I also cut a white card stock using Stitched Whirl Background Dies and then trimmed the piece into 3.25×4.5 inch. After I foam mounted the white stitched whirl panel onto rainbow clouds panel, I adhered stamped images using foam tapes and glue. 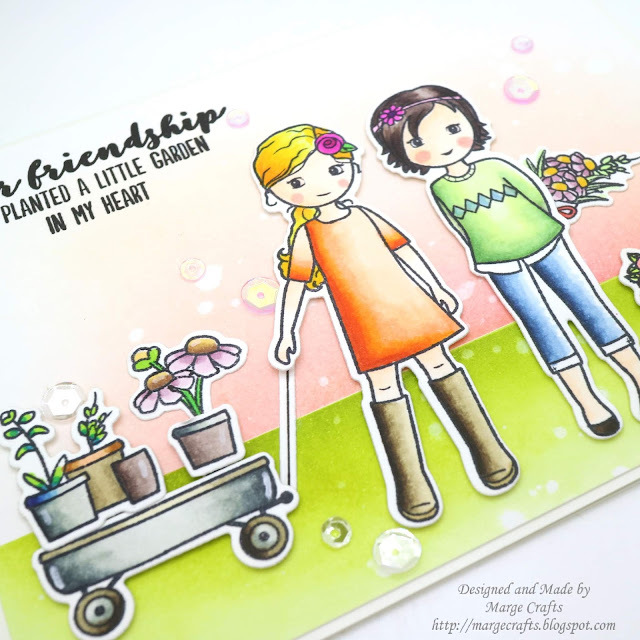 Sentiment was also chosen from the same stamp set. Finally, I adhered the panel onto Peacock Teal card base and finished it off with Pretty Pink Posh Sparkling Clear Sequins Mix and Ballerina Pink Sequins. Today, I'm sharing my cards featuring "STRANGENESS" stamp set. 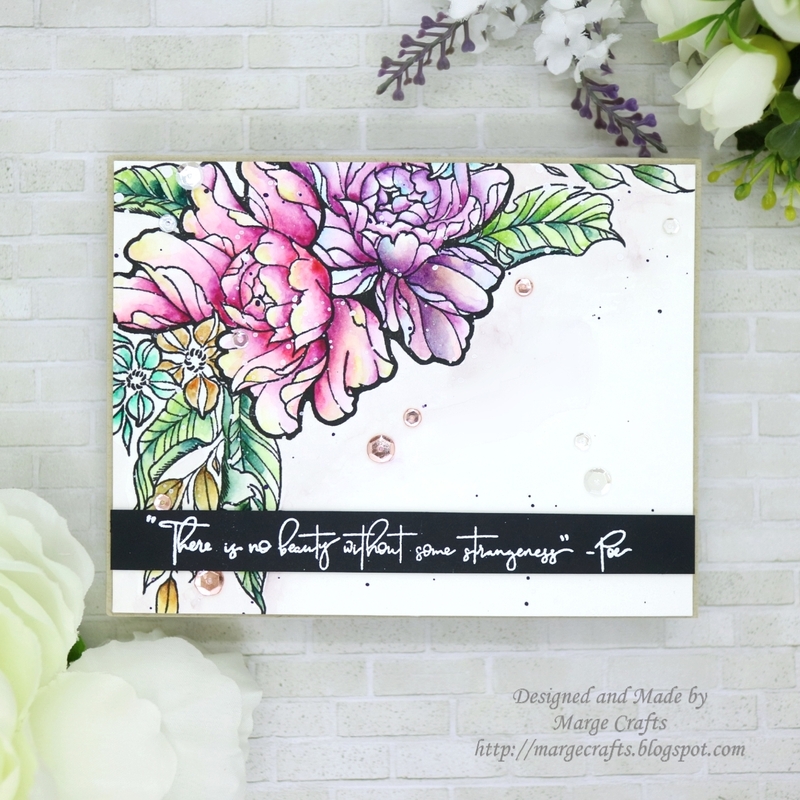 I stamped the large bouquet on cold press watercolor paper using my TimHoltz Stamp Platform and Versafine Onyx Black Ink. I watercolored them using Daniel Smith Watercolor Paints and added splatters of dark ink and white ink. 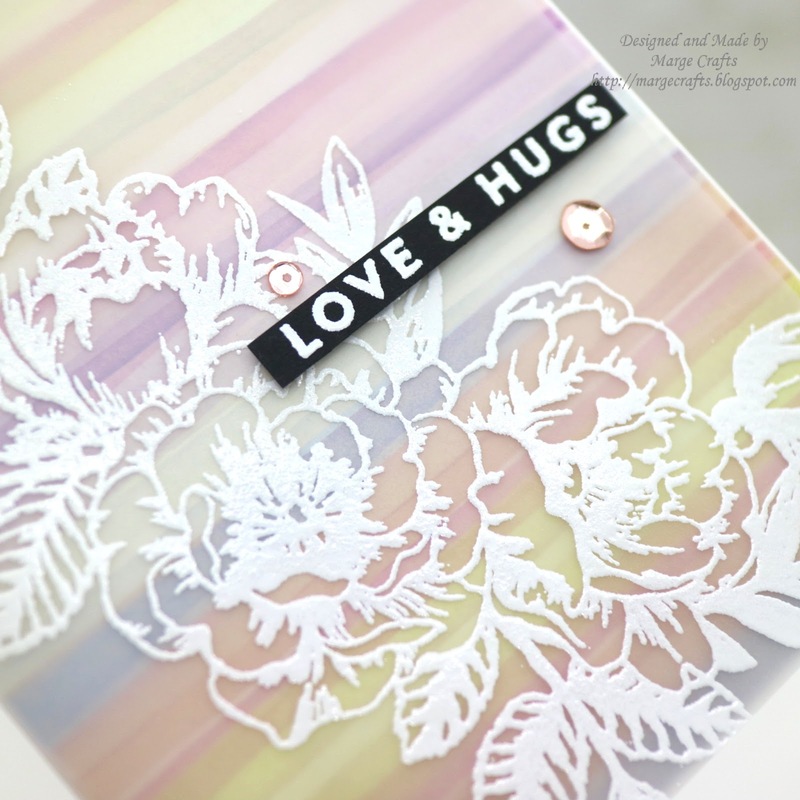 Sentiment was heat embossed in white using Wow Opaque Bright White Super Fine embossing powder. This fine powder helps you a lot to heat emboss small or thin letters. 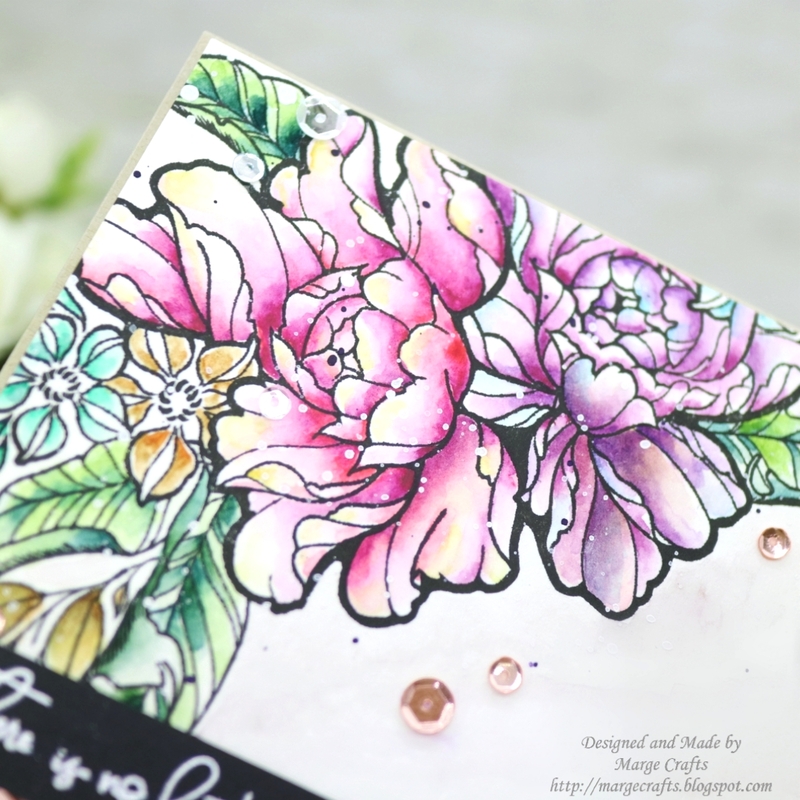 After I foam mounted the panel onto Neenah Desert Storm Card Base, I finished it off by adding 4mm Metallic Rose gold, 6mm Metallic Rose Gold sequins and Sparkling Clear Sequins Mix from Pretty Pink Posh. 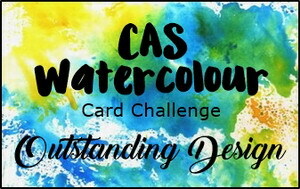 The second card was also painted with Daniel Smith Watercolors. 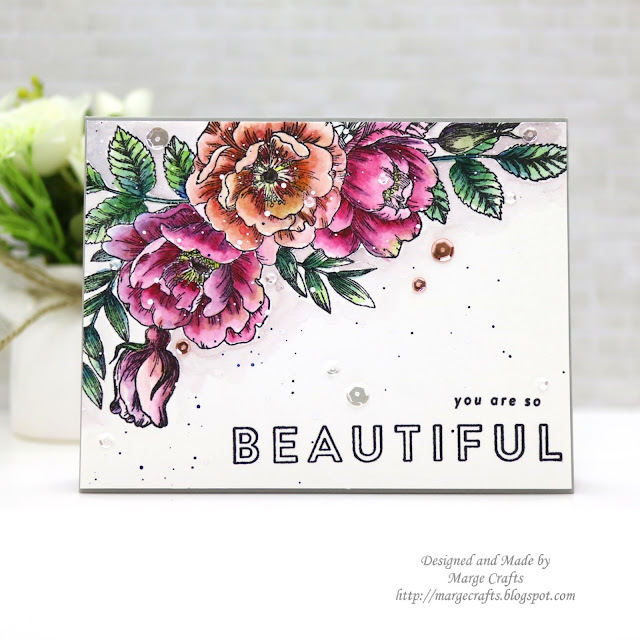 I foam mounted the panel onto Island Blue Card Base, and then embellished it using Sparkling Clear Sequins Mix and 3mm Sparkling Clear Sequins from Pretty Pink Posh. 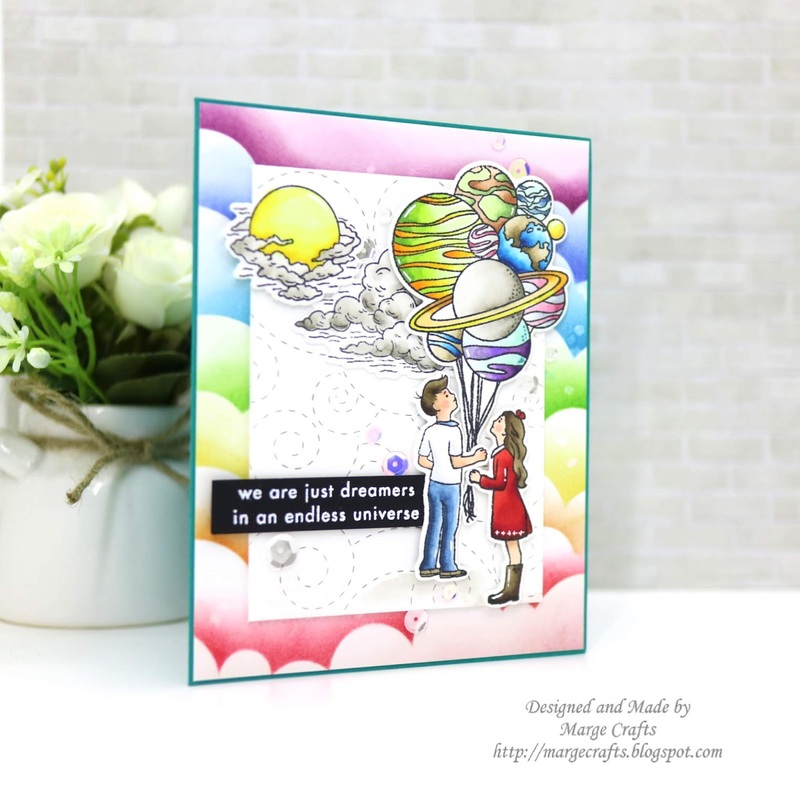 The Strangeness Stamp Set is such unique in its images and sentiments and I love the quote "There is no beauty without some strangeness". I was actually inspired by this quote so I added some strangeness in my watercoloring, today. Did you like it? 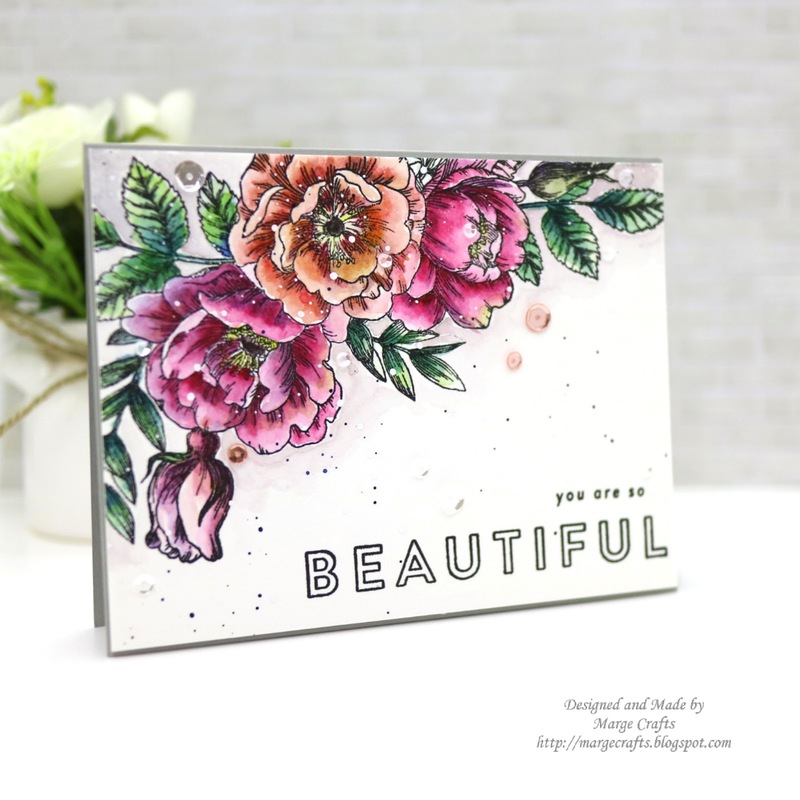 Today I'm sharing my cards I made with June 2018 Card Kit from Simon Says Stamp. All the items are so charming that I didn't know what to start at first, anyway here are my cards. 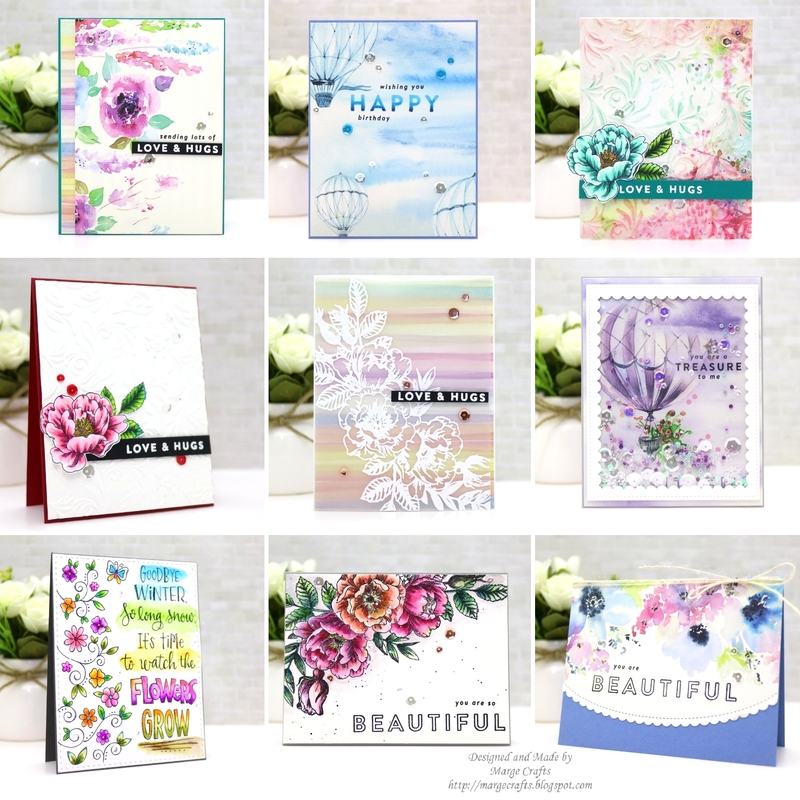 I tried to use only in-kit items to make cards so I refrained myself from using other dies or stamps. I cut a piece of design paper into 3.75x5.25 and other piece of paper into 0.5x5.25 inch. 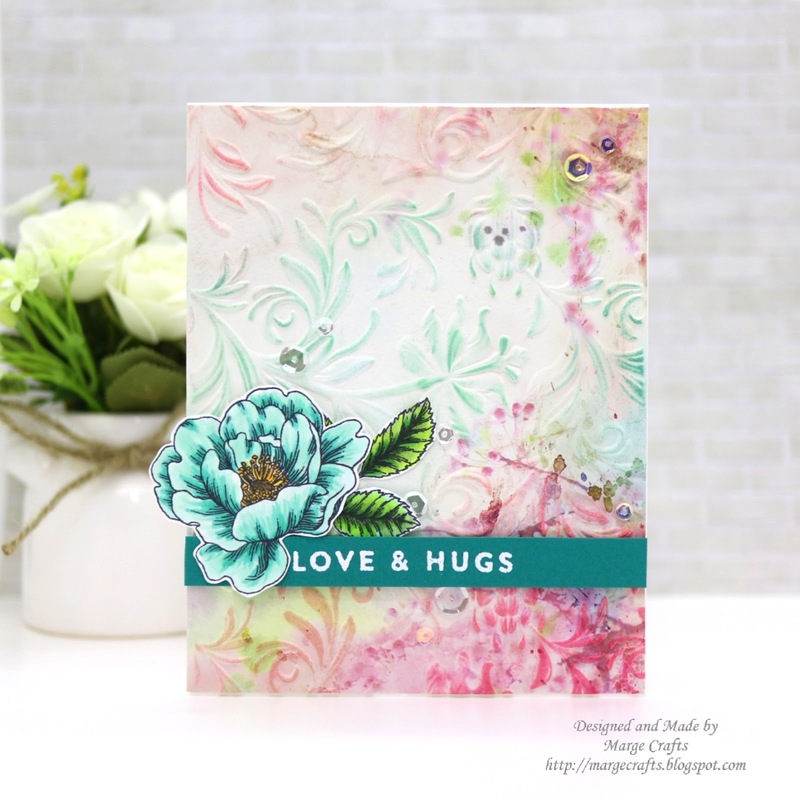 I made an A2 card base using Peacock Teal Card Stock which was included in the kit. Then I adhered smaller piece of paper on the left side of the base, and then larger piece using foam tapes. 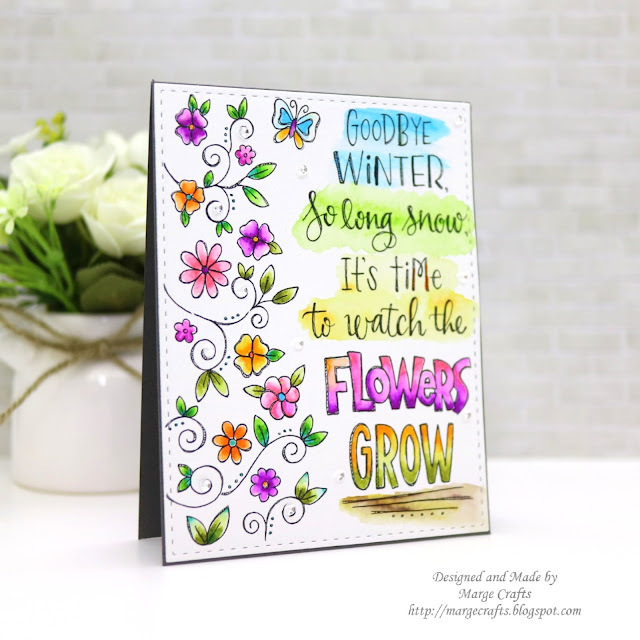 I heat embossed a sentiment from Beautiful Flowers Set on black card stock and foam mounted the sentiment strip on the right side of a card. Finished off the card by adding Pretty Pink Posh Sparkling Clear Sequins Mix. I chose a blue sky paper and trimmed it into A2 size. 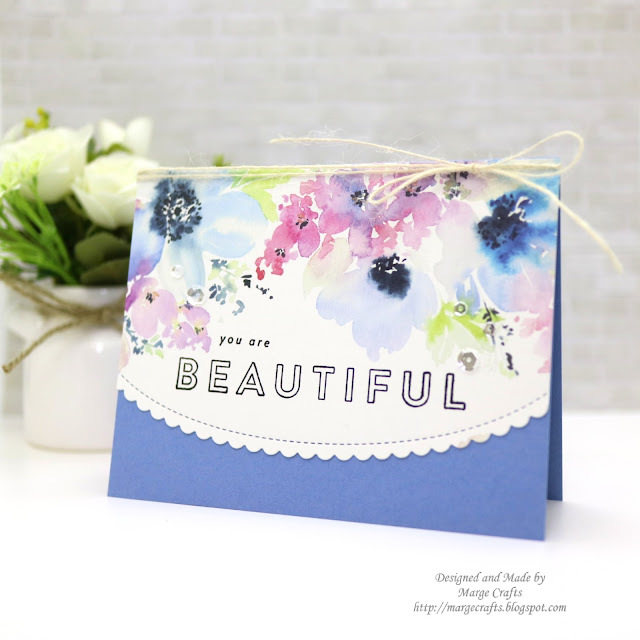 I stamped "HAPPY" from Beautiful Flowers Set using a light blue dye ink, and then I colored it with copic markers (B39-B06-B04-B02). Other black sentiments were stamped using Versafine Onyx Black Ink. After I adhered the panel onto card base made with Cornflower Blue Card Stock included in the kit, I added some blue sequins and Sparkling Clear Sequins Mix. 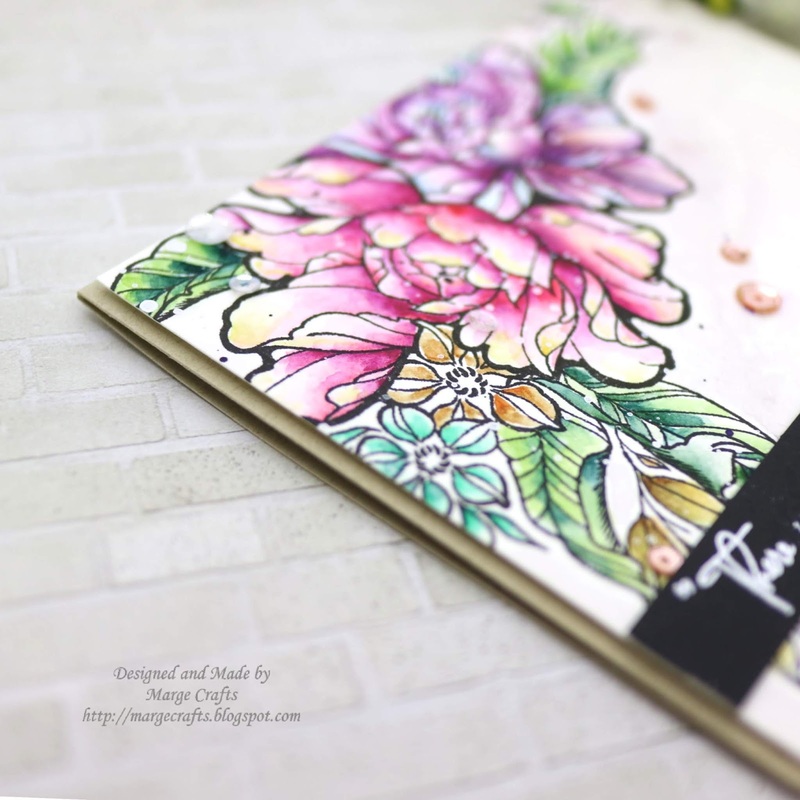 I picked a watercolor feel design paper and ran it through my big shot in Botanical 3D Texture Fades Embossing Folder. Then I ink blended the elevated surface slightly using distress inks Worn Lipstick, Tattered Rose, and Cracked Pistachio. I made a long sentiment strip using scraps of Peacock Teal Card Stock and Beautiful Flowers Set and foam mounted it on the lower part of the panel. I also colored a blossom and leaves from Beautiful Flowers Set with copic markers(BG18~BG10, G29-G07-YG03-YG01), fussy cut them and put them on the top of the sentiment strip. I added some Sparkling Clear Sequins Mix, 6mm & 4mm Ballerina Pink from Pretty Pink Posh. I used basically the same way as of Card No.3 but I went with clean look this time. I used a ultrathick white card stock included in the kit to make a Botanical 3D Texture Fades Embossing pattern. Sentiment "LOVE &HUGS" was heat embossed in white on a black strip, blossom was colored in pink (Copic No : RV17-RV14-RV13-RV11-RV10), all stamps from Beautiful Flowers Set. I trimmed a piece of pastel colored stripes design paper into A2 size first. I heat embossed a large bouquet from Beautiful Flowers Set on thick vellum paper using white embossing powder, then I cut it into 4.5x5.25 inch. I scored the vellum piece at 0.25inch along the 4.25 side and folded it along the scored line so that the 0.25 inch part would be used as attaching side to the back of panel. Once I adhered the vellum cover to the design paper, I put them on a white card base. Then I foam mounted a sentiment strip made from Beautiful Flowers Set. 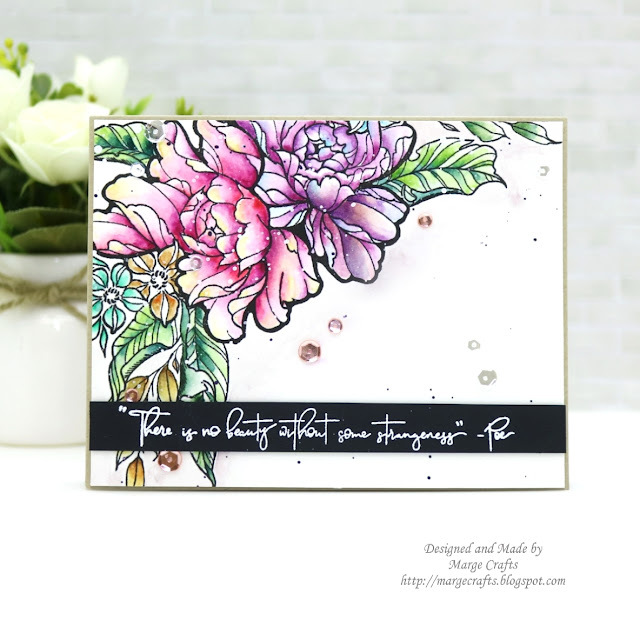 As a final embellishment, I added 4mm Metallic Rose gold, 6mm Metallic Rose Gold sequins and Sparkling Clear Sequins Mix from Pretty Pink Posh. 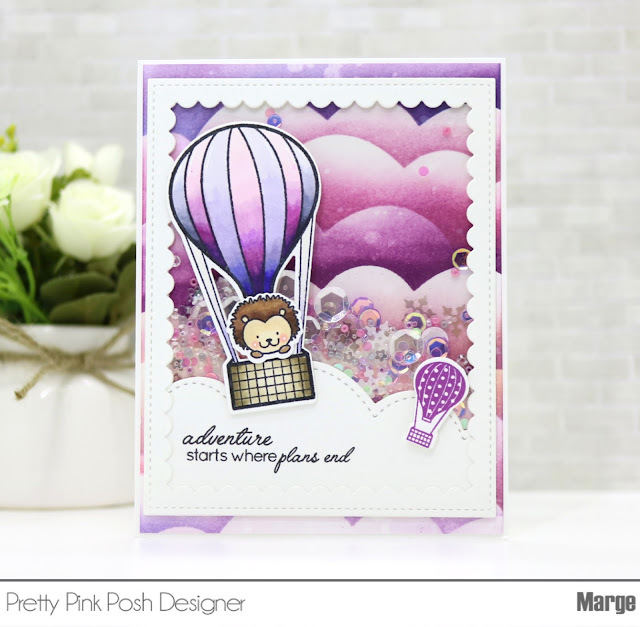 When I saw the purple paper with large balloons on it, I decided to go with a big frame shaker. 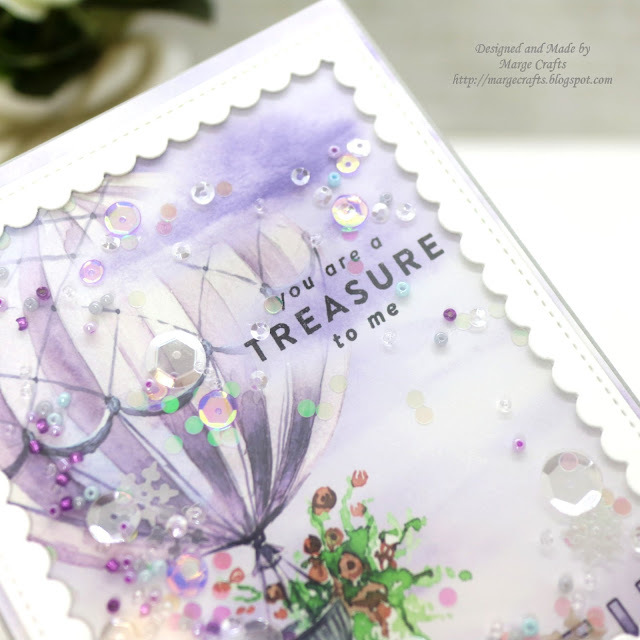 I cut the paper into A2 size, stamped a sentiment from Beautiful Flowers Set on the cloud next to a balloon, and then I adhered 4mm & 6mm Lavender Moon Sequins on the top area of the panel. To make a shaker frame, I diecut 120# ultrathick white card stock using Scallop Frames dies, adhered acetate film on the back, then thin foam tapes. 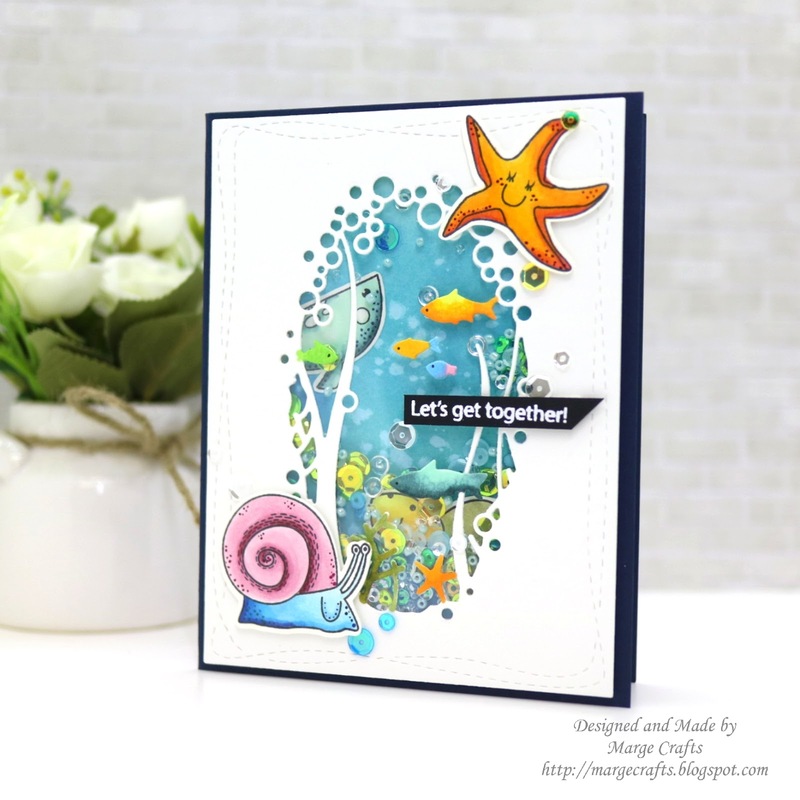 I used thin foam tapes to make shaker this time because I wanted my sequins to move little so that I could give the card calm mood. Sparkling Clear Sequins Mix, 3mm Sparkling Clear Sequins , 4mm and 6mm Lavender Moon, Sparkling Clear Snowflakes, Mini Circle Confetti, Purple Seed Beads , Pewter Seed Beads, Lilac Seed Beads, Sparkling Clear Seed Beads, Aquamarine Seed Beads. 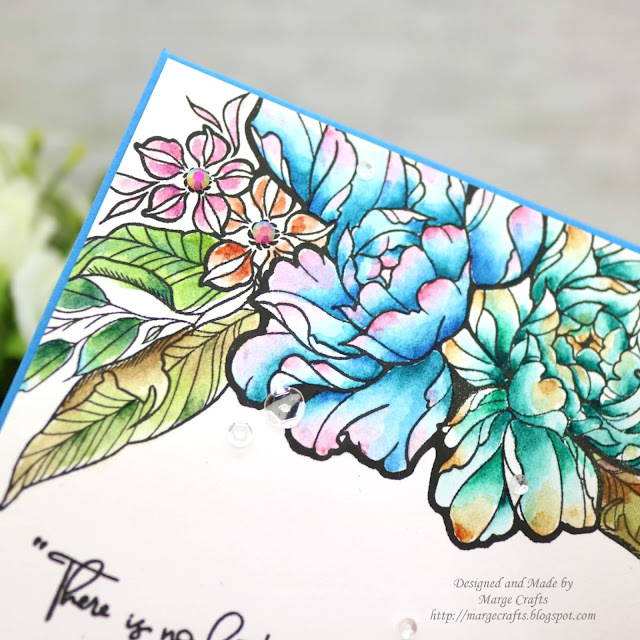 I watercolored a piece of Suzy's paintable prints included in the kit using my Zig Clean Brush Markers. Then I cut it using Stitched Shapes Dies, and adhered it onto Slate Gray card base. I embellished the card by adding 3mm Sparkling Clear Sequins from Pretty Pink Posh. I stamped a large bouquet from Beautiful Flowers Set on 300g cold press watercolor paper using Versafine Onyx Black Ink, then I simply watercolored it using the three Daniel Smith Watercolor Paints dots included in the kit- Aureolin Cobalt Yellow, Quinacridone Red, and Prussian Blue . At this point, I used only the three colors in the kit to make these various colors by mixing them up with different ratio. 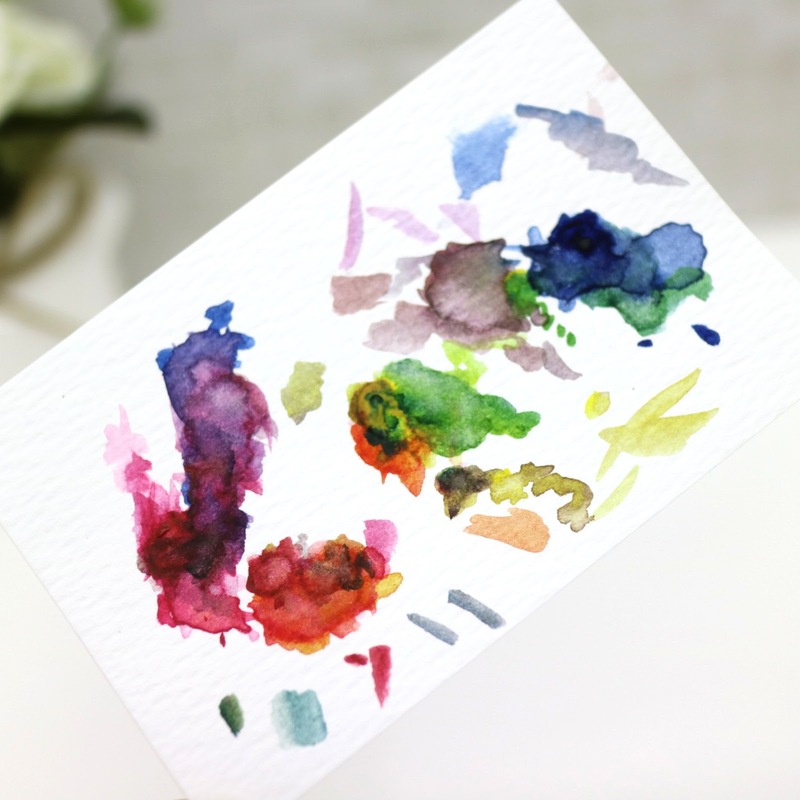 Here's the photo of sampler palette after I finished my watercoloring. 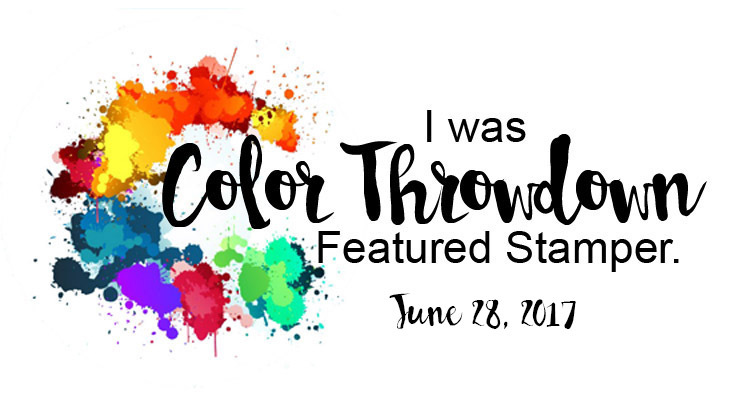 Isn't it amazing that all these colors came from just 3 inks? 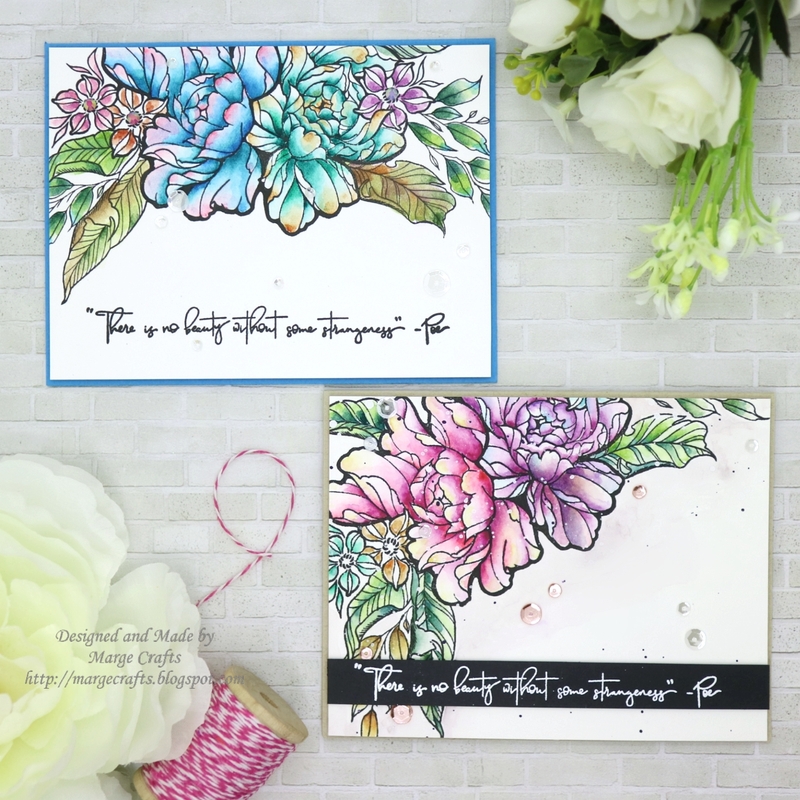 After I finished watercoloring, I splattered with Prussian Blue ink (included in the kit sample) and White acrylic ink over the panel, and then I stamped sentiments from the same stamp set : Beautiful Flowers Set. I foam mounted the panel onto card base I made using Simon Smoke Card Stock, which was also included in the kit. As a final embellishment, I added 4mm Metallic Rose gold, 6mm Metallic Rose Gold sequins, Sparkling Clear Sequins Mix and3mm Sparkling Clear Sequins from Pretty Pink Posh. My last card for today was made very simple! 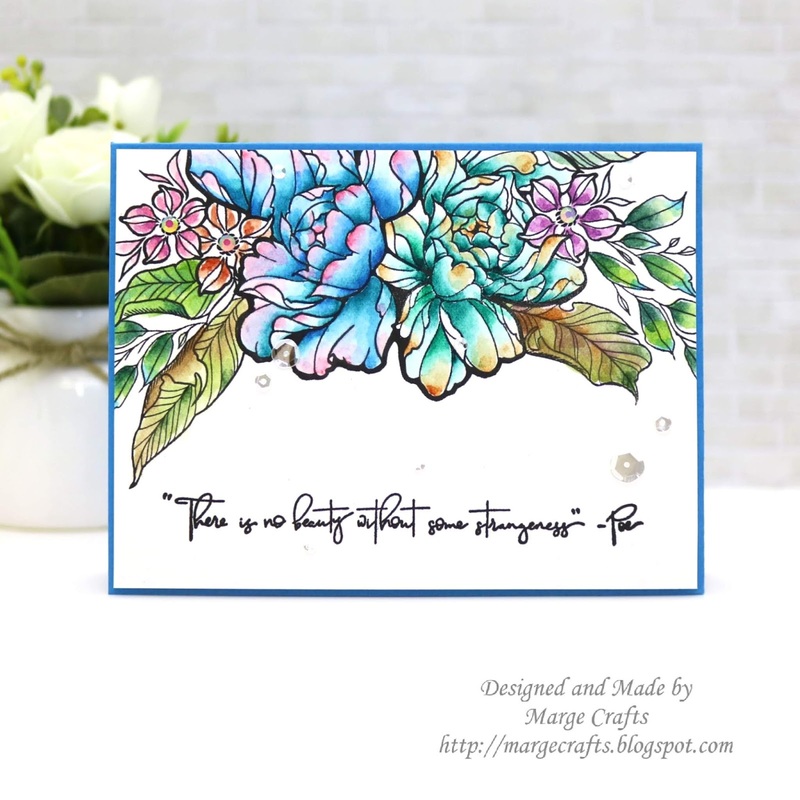 I diecut a piece watetcolor flower pattern paper using Scallop Borders 2 Die, then I adhered it onto a card base made with Cornflower Blue Card Stock included in the kit. I stamped sentiments from Beautiful Flowers Set on empty space, and then I rounded Ivory Twine on the top. 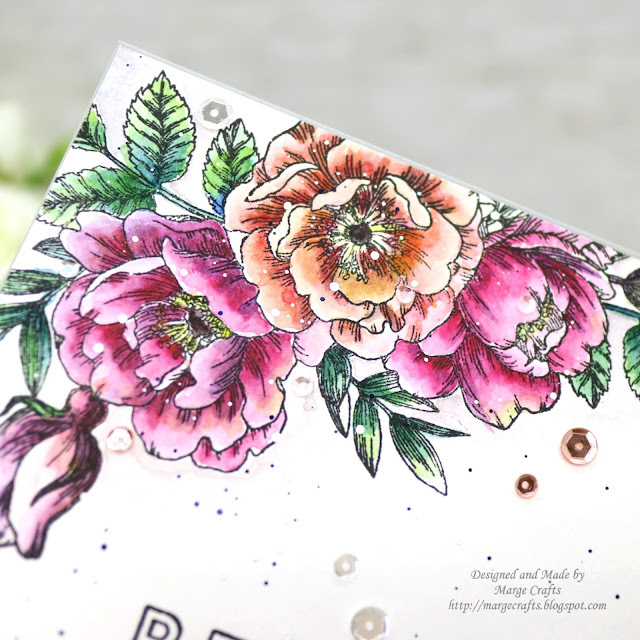 I finished off the card by adding Sparkling Clear Sequins Mix from Pretty Pink Posh. 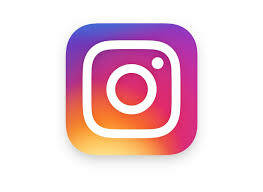 I really appreciate your patience to read this long post. Thank you for joining us for the Anniversary/Wedding Challenge and we hope you will all join us again this week too. We are showcasing Memory Box Products this week. You don't have to use them to join in but if you have some we would love to see them used. 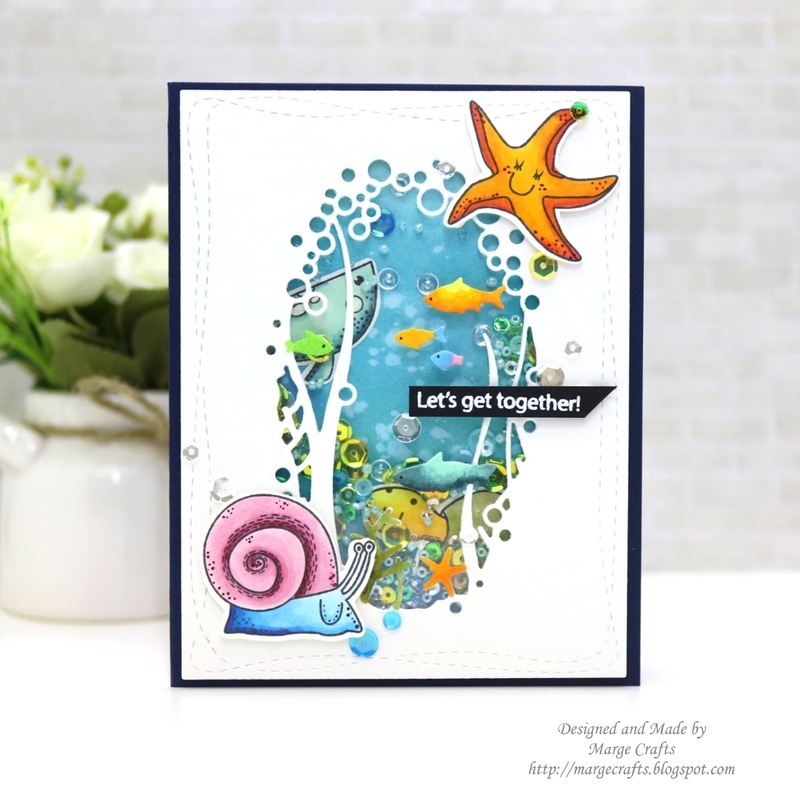 Here is my card for the challenge inspiration. 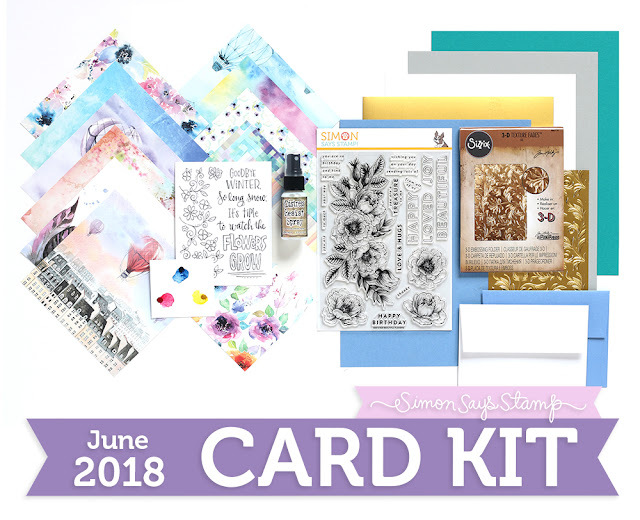 I used Under the Scene Collage Craft Die from Memory Box. 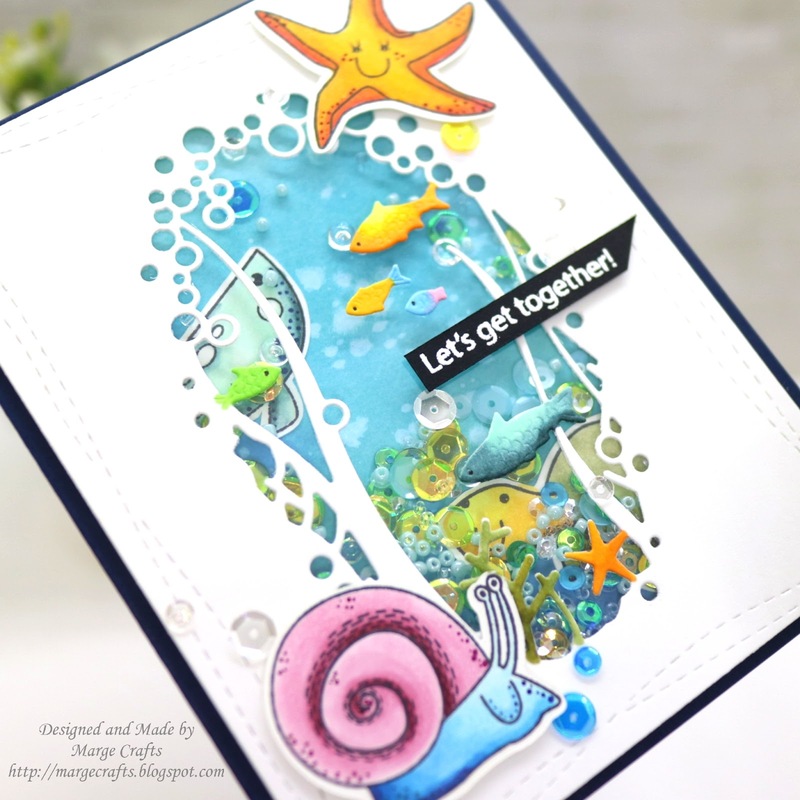 I started off my card by stamping Under The Sea Animals on 80lb Neenah White paper using Memento Tuxedo Black Ink, and colored them with copic markers. 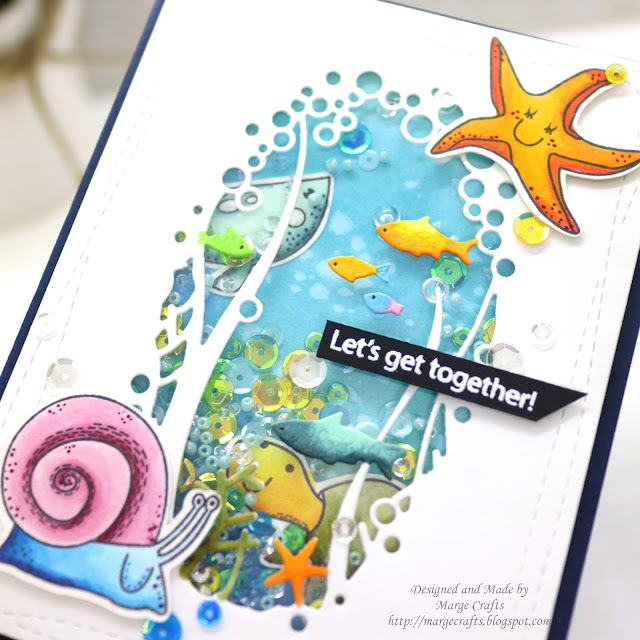 I used my Scan N Cut to cut the images, but you can use Under The Sea Animals Coordinating Dies. Next, I cut a piece of 110 Neenah White paper using Under the Scene Collage Craft Die and Wonky Rectangles Dies. For the background panel, I ink blended a piece of Bristol Paper with Distress Oxide Inks : Blueprint Sketch, Peacock Feathers, Mermaid Lagoon, and Broken China. I also colored the small diecuts made from Under the Scene Collage Craft Die with copic markers. In order to assemble a shaker, I glued a piece of acetate film on the backside of the panel, then I adhered foam tapes around the window. I also gluded two sea creatures and a few sequins on the ink blended background panel so that the animals look like they are under the sea. To fill the shaker, I used old and new Pretty Pink Posh Sequins : Mermaid Mix, Aquamarine Seed Beads, Sparkling Clear Seed Beads, 4mm Sea Breeze, 4mm Aquamarine and 6mm Aquamarine, 3mm Sparkling Clear. Once I assembled my shaker, I put it on a navy card base I made using Neenah Texture Navy card stock. Then I foam mounted Under The Sea Animals, and a sentiment from Messages For Everyday, which was heat embossed in white using Wow Opaque Bright Super Fine embossing powder. As a final embellishment, I added Sparkling Clear Sequins Mix and Mermaid Sequins Mix.